Byron was a fierce competitor on the golf course, but once the round was over he almost instantly resumed being the person who could just as well be your favorite uncle or grandfather. He has never ceased to amaze people with his kindness and generosity. With his devout Christian faith, Byron exhibits a sense of humility that is rarely seen in the world of sports. Byron has often said “I don’t understand what the big deal is about me. 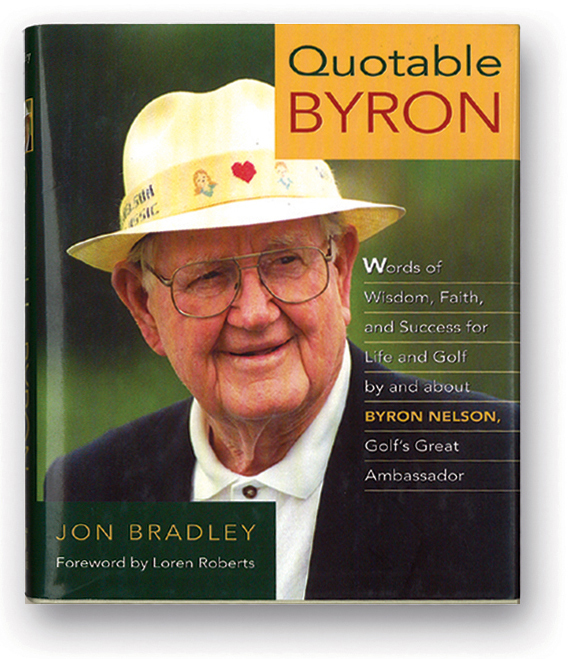 I played some good golf, but that was an awfully long time ago.” – from the introduction Enjoy reading Quotable Byron.